In his tenure at the U.S. Mint, 12th Chief Engraver, John Mercanti, was given the task of designing the eagle reverse for the new 1986 American Eagle Silver Dollar. 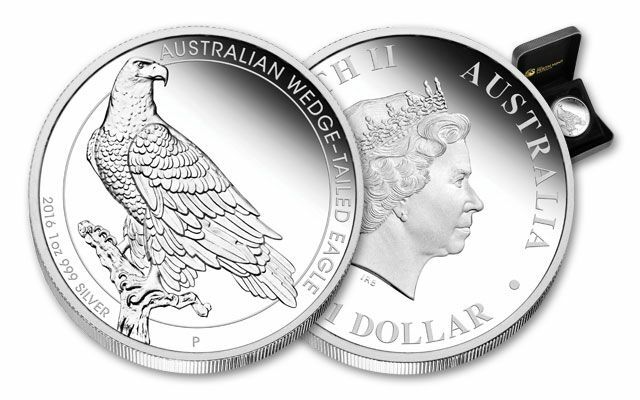 Thirty years later, over 400 million of these coins proudly display the initials "JM" beneath his majestic eagle design. Now retired, John Mercanti was commissioned by Australia to sculpt a new design for their Silver Eagle: the massive Wedge-Tailed Eagle. The result is a modern masterpiece! 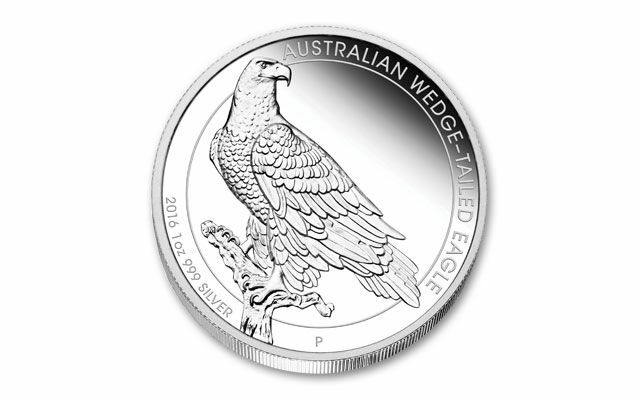 The NEW, highly anticipated 2016 Wedge-Tailed Eagle design was born of this collaboration between John Mercanti and Australia's historic and award-winning Perth Mint. 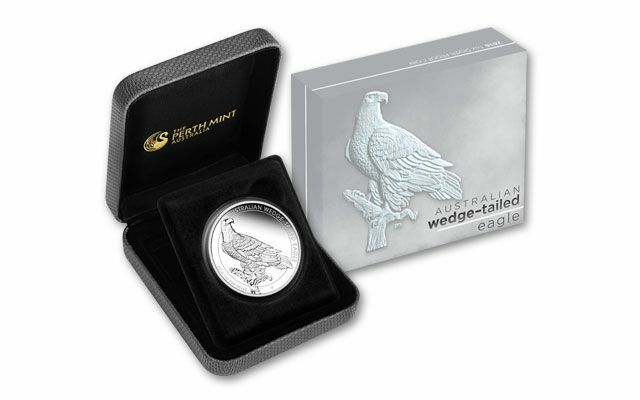 Mercanti's vision and talent, paired with Perth Mint's meticulous striking skills, have created a brand new Wedge-Tailed Silver Eagle. 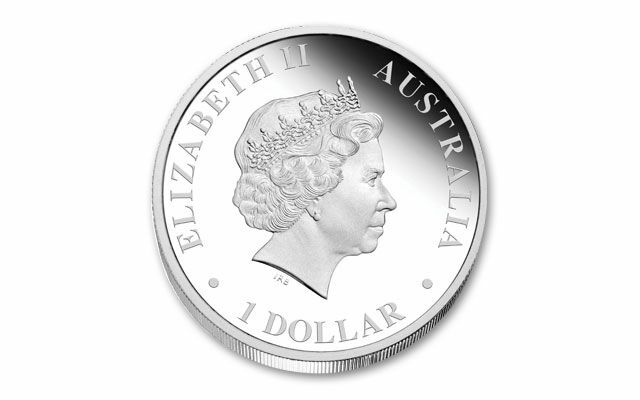 This legal-tender Silver Dollar Proof contains one full ounce of 99.99% fine silver. The mintage is limited to only 5,000 for the entire world, so don't delay in securing yours NOW!